The administration office is centered in the middle of the HMT Campus. Stop by and say hello! 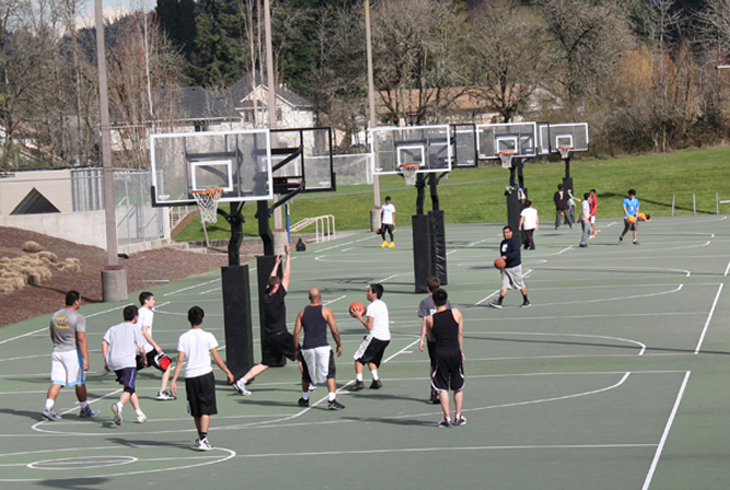 Athletic Center outdoor basketball courts offer aspiring hoopsters a place to cut their teeth. This 92-acre recreation complex, named for former THPRD General Manager Howard M. Terpenning, is the crown jewel of the park district. 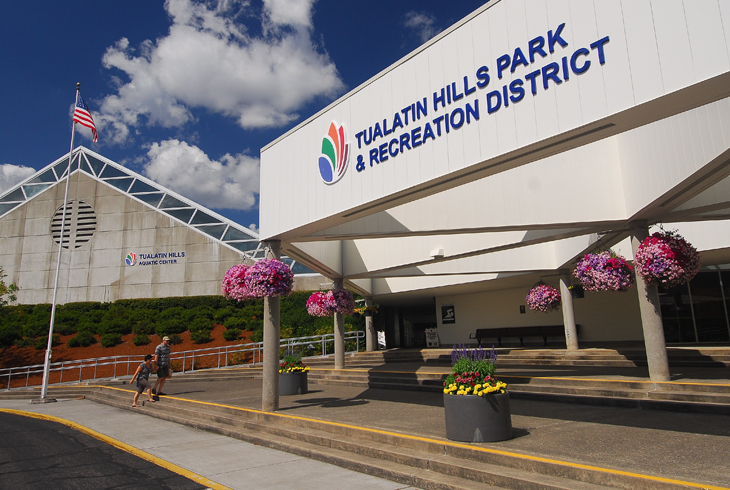 Located at SW 158th Ave. and SW Walker Rd., the complex includes the Tualatin Hills Athletic Center, Aquatic Center, and Tennis Center, as well as numerous outdoor tennis courts, baseball/softball fields, soccer fields, one of THPRD’s two skate parks, and an outdoor roller hockey rink. 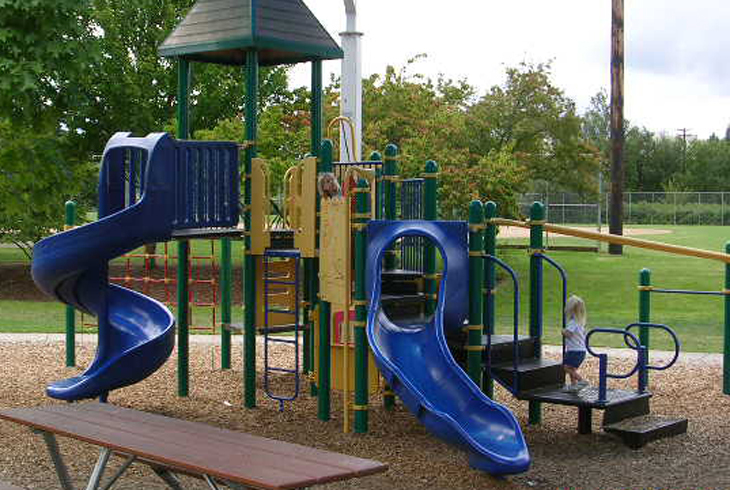 Two covered play areas, one for younger children and the other for older children, can be found between baseball fields on the south end of the complex. Paved trails are located throughout the campus, and a soft surface trail meanders through a 10-acre natural area on the east side of the complex. The complex is also home to THPRD’s administrative offices, as well as the district’s annual Party in the Park celebration in July.